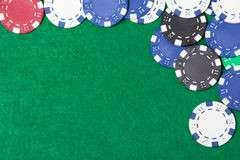 Maryland-based professional gambler Joseph Stiers and World Series of Poker (WSOP) parent Caesars Interactive Entertainment (CIE) have tentatively reached a settlement in the matter of Stiers’ eviction from the 2017 WSOP Main Event on Day 3 of the vast, multi-day event. Stiers’ had been trespassed from all Caesars properties a couple of years prior to his 2017 eviction from the WSOP’s home venue, the Rio All-Suite Hotel and Casino in Las Vegas, but through the use of a secondary ID showing a munged form of his name, had managed to evade the existence of the ban. When again trespassed from the Rio Convention Center — it seems to have occurred in a hallway just outside the Brasilia room during the Main Event’s Day 3 dinner break — the WSOP refused to refund Stiers’ $10,000 entry fee or offer him some sort of expected-value-based “reward” for the 630,000 chip stack he’d amassed up to that point. In the initial complaint, in which he represented himself, Stiers laughably valued that Day 3 stack at an additional $150,000. Here at Flushdraw, we reported on Stiers’ excessive, toxic self-entitlement back when he filed his claim against the WSOP, CIE and other parties last year. Absolutely nothing has changed in my opinion of Stiers or his claims over the intervening months. If the settlement (of which the terms are unannounced and are almost sure to remain under seal when made official) amounted to anything more than a basic refund of that $10,000 entry fee, I’d be astonished. One element of the upcoming settlement has been released, however, and that’s that Stiers will still remain banned from all Caesars properties. As a matter of full disclosure, I’ve done some third-party-contractor work for the WSOP in recent years, though I have zero access to information other than that available in public court records. That work relationship in no way affects my viewpoint of this case, and people who know me know I speak my mind as I see it. I’ve said from Day 1 that Stiers is the type of player who brings nothing but disrepute to the formal poker world, and he’s exhibited the same sort of “rules don’t apply to me” attitude we saw exhibited just a few months back in the Gordon Vayo affair. When did falsification of documents become such a thing, anyway? But back to this slophole. The presumptive settlement between the two sides was disclosed within a motion to extend upcoming deadlines from February 1 to February 15, with that deadline having to due with Caesars’ planned response to an amended complaint introduced by Stiers. The major reason for that amended complaint was for Stiers to add Rio property ownership entity Rio Properties, LLC as a co-defendant, since the eviction from the Rio and the WSOP, as a technical legal matter, went through that entity.